Recognizing the growing need for elder care providers, the State of West Virginia is taking action to provide individuals with the knowledge they need to become the best possible direct service providers for seniors. According to the Charleston Daily Mail, the West Virginia Department of Education is partnering with the Bureau of Senior Services, private and non-profit senior health providers to create a competency based standard test for “direct care workers” who may work with seniors in the community or in a home setting. While leaders in West Virginia work to equip students with the knowledge they need to provide quality services to senior citizens, home care providers can simultaneously work in regions throughout the United States to build a great workforce of caregivers. One of the best tools to assist with building a knowledgeable, well managed caregiver pool is using a homecare software or homecare system, such as ClearCare Online. With the power of a homecare software or homecare system, agency administrators are given the ability to efficiently track caregiver training and certifications, as well as receive automated reminders of expiring certifications directly from the homecare system. Aside from tracking education, homecare software can play a vital role in helping to streamline the hiring process for new caregivers. ClearCare Online’s homecare system offers an integrated application where caregiver applications are directly processed to an agency’s homecare software – allowing administrators to track new applicants and hiring rates with ease. 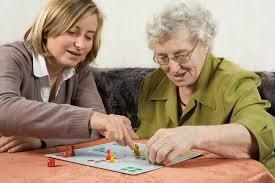 Building a caregiver pool that stands out from the crowd can seem like a daunting task. However, with the help of a robust homecare software or homecare system like ClearCare Online, and a greater availability of caregiver training, the task can become far easier than it once was.